Overcoming obstacles and adversity are common for most women on their mother loss journey. We know how difficult it can be to face the traditions and the establishment as we work through our grief and loss. It feels as if we may be alone on this journey. Sometimes we feel we take one step forward and several steps backward. Often we are told, “get over it,” or are asked if we “are over it yet?” The social norms work hard to keep us in our place. I recently saw the movie, “THE LETTERS.” This tells the story of Mother Teresa on her quest to fulfill her calling to go into the slums in India and care for the “unclean.” Mother Teresa, recipient of the Nobel Peace Prize, is considered one of the greatest humanitarians of modern times. Her selfless commitment changed hearts, lives and inspired millions throughout the world. What I found most interesting is that THE LETTERS, as told through personal letters she wrote over the last 40 years of her life, reveal a troubled and vulnerable woman who grew to feel isolation and abandonment by God. The story is told from the point of view of a Vatican priest charged with the task of investigating acts and events following her death. He recounts her life’s work, her political oppression, her religious zeal, and her unbreakable spirit through letters that Mother Teresa wrote to her spiritual mentor during her calling to work with the poor. 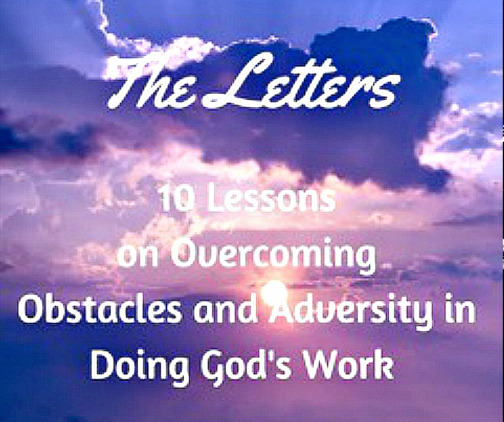 The letters are about overcoming adversity and obstacles to do God’s work. Even when it is clear when God is calling you to do something, it’s just not easy. One of the obstacles that Mother Teresa faces is from within her own order of nuns. It is clear that the chief nun would like to keep her in her place, which is under her control. Although cumbersome, Mother Teresa works within the organizational rules and regulations to move her calling into a reality. We are also introduced to the self-doubt and “darkness” that Mother Teresa writes about but never talks about. We only see emotions one time when she reads about her mother and cries. I found this movie had very important messages for all who are called by God to do His work. Here are the 10 Lessons I learned from Mother Teresa’s The Letters. Face your adversity. Never run. Look them in the eye and smile. Keep someone who speaks the same language as your opponents to be your ally. Keep focused on the larger call. Turn your enemies into advocates. Use the system. Don’t try to circumvent it. Learn and be open to change. It’s not about me! Pride can not exist.